On February 28, Apple sent out invites to major publishers and tech sites. It was quite evident from the invite that the event scheduled on March 7 was going to have something to do with a new iPad. Consequentially, tech sites all over went berserk in trying to determine what the new iPad would look like, what its specs would be and most importantly, what it would be called. “iPad 3” and “iPad HD” were two of the most likely and common names floating around. 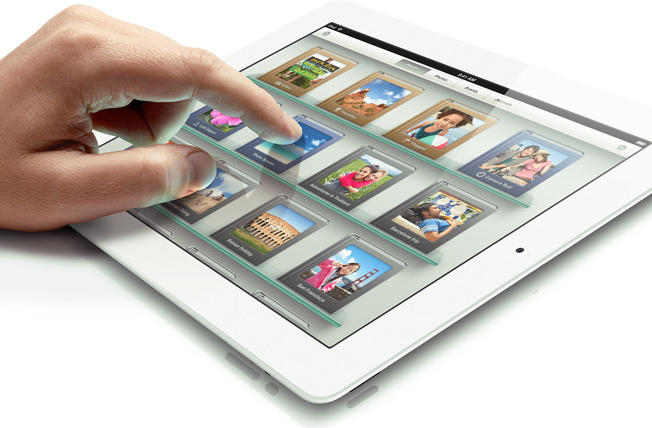 One feature everyone was sure would make it to the new iPad was Apple’s “retina display”. Even the invite made it rather apparent that retina display was coming to the iPad. So on March 7, did the predictions come true? Well yes, and no. The names speculated for the successor to the iPad 2 were way off. Instead of having the iPad name and a number suffix, Apple named it simply “the new iPad”. Confusing? Slightly. Apple probably isn’t going to keep calling it the “new” iPad for very long, and there might be a time when customers would have to choose between the iPad (3rd generation) and iPad 2. At least until iPad 2’s are pulled off the shelves everywhere. Also, the next iPhone might also be named just “the new iPhone”. Apple can’t keep releasing new versions and keeping a number suffix, some day it might be “iPhone 14”, so that’s probably why the name change. Other products in the Apple lineup have been getting major updates for years but have been called the same anyway. Now, most importantly, what’s new in the “new” iPad? Quite a lot has changed. The new iPad gets a new Apple A5X dual core processor and a quad core graphics chipset for rendering all that retina display goodness. Speaking of which, the new iPad’s retina display means that it gets a screen resolution of 2048×1536 with a pixel density of 264PPI (pixels per inch). It’s 4 times the resolution of the iPad 2 and means that even though the screen size is same on the new iPad and iPad 2, the new iPad has four times as many pixels! So the display looks stunning with vibrant colors of outstanding clarity and sharpness. Text would look much, much better on the new iPad. Furthermore, the new iPad gets a 5-megapixel camera at the back capable of 1080p video recording and a front facing VGA camera for video calling. Another big new feature is 4G LTE capability. The new iPad will be available in Wi-Fi only or Wi-Fi+4G models. 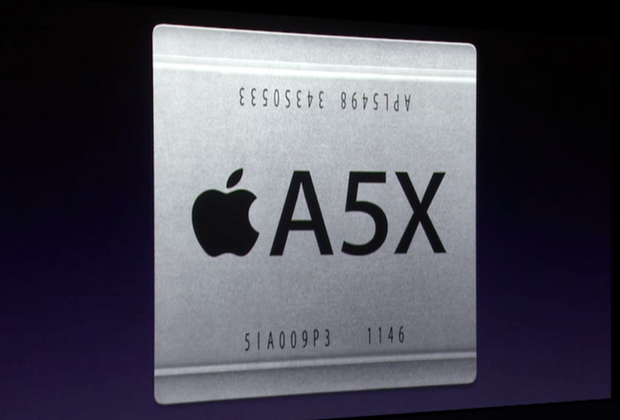 Apple has also put in a new lithium-ion battery to juice up all this hardware and claims a 10 hour battery life. The new iPad is about the same thickness but about 50g heavier. On the software front, the new iPad will feature iOS 5.1. The new OS will also be available for older devices. iOS 5.1 has a new camera app, improved battery life and of course, bug fixes. The camera on the new iPad has a neat new feature called called “Temporal noise reduction”. In simple terms, it reduces “noise” from videos taken in low light. Basically, in low light, not enough light hits the camera sensor and the images turn out to be grainy and have unwanted noise. The new iPad’s feature will reduce this noise and render the pixels according to detected “non-noisy” pixels around it and reproduce the optimal video. This means quality of videos taken in low light will increase dramatically, or at least, that’s what Apple claims. 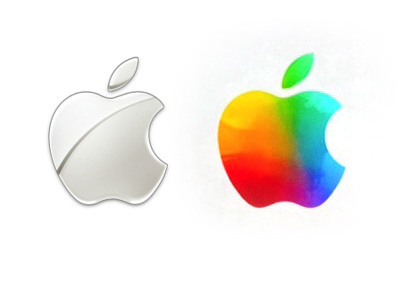 Interestingly, Apple closed their March 7 keynote with a new colorful logo instead of their usual metallic one, could this be the new logo? That’s everything there is about the new iPad. Do you think it’s worth the price? Let us know! I am really very disappointed by the new iPad. Apple is just kidding with its customers by giving only one feature in one release.